Bon Dia! This will be exciting news for those Fremantle people who love great soccer and South American cuisine. 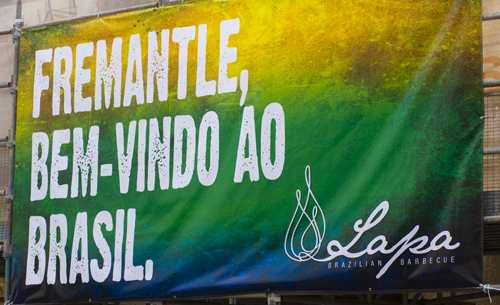 LAPA Brazilian Barbeque Restaurant is being built next to the National Hotel in High Street and will be a very welcome addition to the West End. It is still quite a few months away by the look of it but something to look forward to. Comments Off on GO BRAZILIAN IN FREO!